✔ [Designed for Hip Fitting] - It stimulates the hip line effectively.Release pressure and lift hip muscle. ✔ [EMS Advanced Technology] - Electrical muscle stimulation, the latest scientific and healthy fitness technology, send signal to muscles directly to promote muscle movement, to help you achieve a more beautiful physique. ✔ [Easy to Use] - Just paste the backside Muscle Toner. 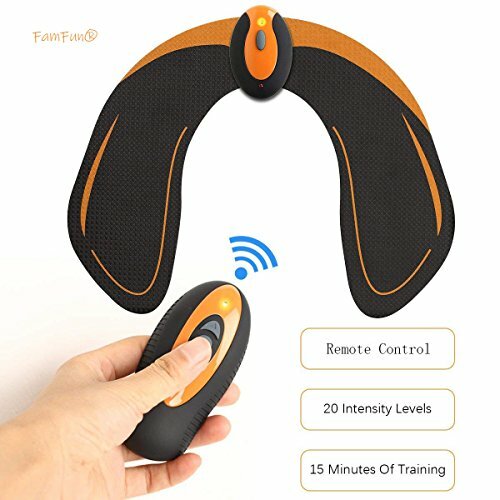 You can tighten your muscles while watching TV , learning etc. If you have any questions about this product by FamFun, contact us by completing and submitting the form below. If you are looking for a specif part number, please include it with your message.